USB power has become so ubiquitous that it's being used for all kinds of things, including audio. I've done it myself. 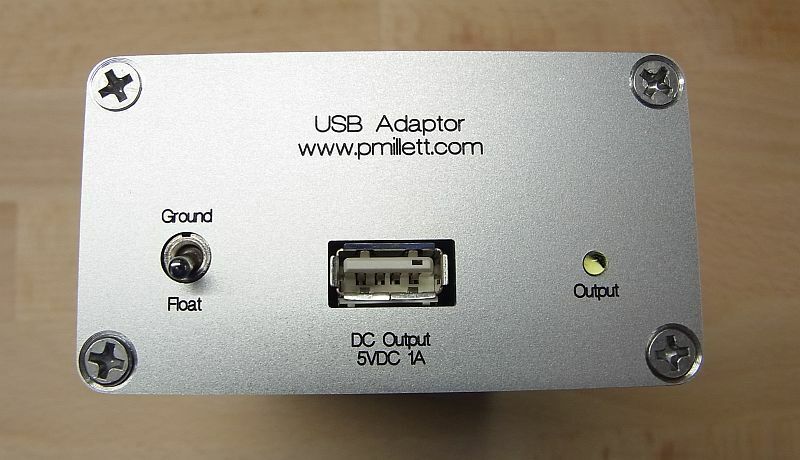 But typical USB adapters are horrible. Tiny switchers that have maybe $0.50 in material cost. No ground, and an EMI filter on the input that couples noise from the AC line to the DC output. Nasty! So I designed a simple linear power supply to replace them. Normally it is configured for 5V, 1A output. 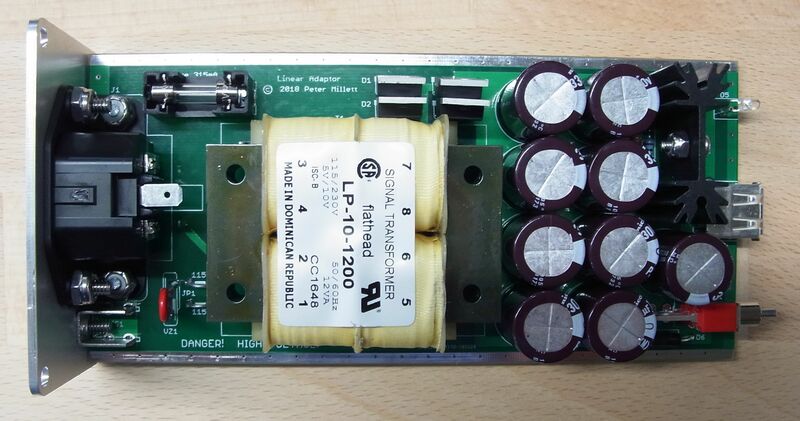 But you can also set it up for 6V, 12V, or 24V at 5 watts (maybe a bit more) by changing components. Just the basics: IEC connector, varistor, fuse, transformer, bridge rectifier, filter caps, and a linear regulator (LM2941). It slides into a Hammond 1455K1601 case. Here is the schematic (PDF file), and parts list / BOM (PDF file, XLS file). You can get all the parts except the PCB from Mouser. 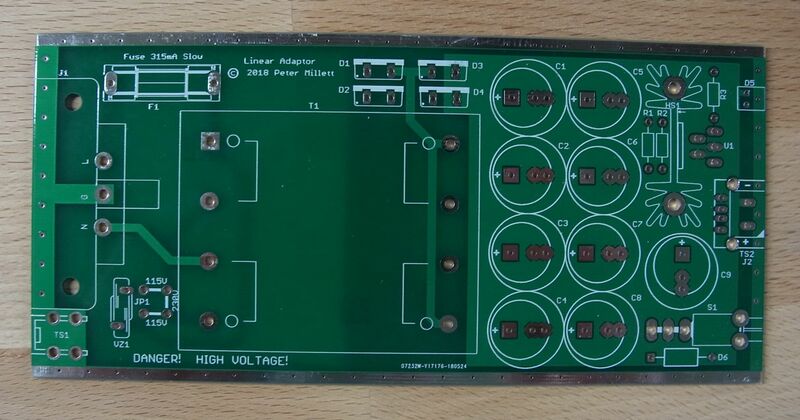 As usual you can find the PCB at my eBay store. 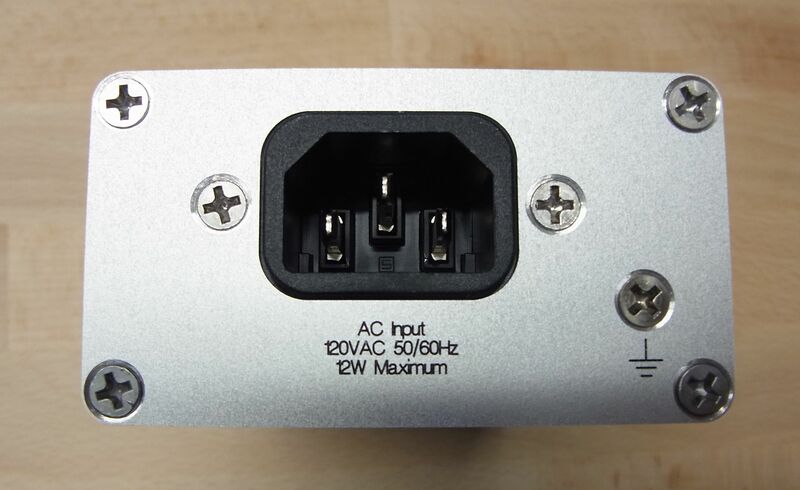 There is a toggle switch that allows you to either connect the ground from the IEC connector to the negative side of the output, or float it. When floated there is a 12V AC TVS connected between them for safety reasons. With the TVS, if there were a fault (extremely unlikely with isolated bobbin transformers like this) that put AC line on the output, the TVS would conduct and the fuse would blow. You can fabricate the front and rear panels supplied with the case yourself, or if you are lazy like me, you can get them from Front Panel Express. Yes, they are a bit expensive, but they look and fit better than anything I could do. Here is a ZIP file that has both FPD files, as well as a DXF file that you can use if you want to make your own. (You can download free DXF viewers online). Note that there is a screw that connects the case to the IEC ground. If you want you could connect a ground wire to that point if you needed it for some reason.